Ferguson, Missouri, 9th August 2014: Michael Brown Jr, an unarmed Black man, was shot in cold blood by Darren Wilson, a white police officer, and his body left on the floor for more than four hours under the scorching sun. In the days that followed the fatal shooting what happened next has been described as riots, looting, violence and vandalism by mainstream media. But while the world was witnessing another shameless distortion of the truth, the uprising of a community that encountered policing and abuses daily and was able to build a powerful movement: #BlackLivesMatter. Through social media, Twitter, live videos and comments, the people of Ferguson were able to create a meaningful and more honest account of the events that followed Brown’s shooting, stressing both their need of justice and the systemic racism Black people encounters every day in the streets of America. With her documentary Whose Streets? director and activist Sabaah Folayan, a gifted storyteller born and raised in South Central LA, subverts the narratives of violence and riot by bringing into light the stories of Ferguson’s community and its people: activists, students, religious leaders, but also families, parents, children and teenagers, the people who came together asking for justice and visibility, the people who were answered with more policing and distorted accounts of what happened in Ferguson in August 2014. Masterfully directed, delicate, empathetic and thorough, Whose Streets? focuses on a community ripped apart by a murder, one of the violent events that characterises the history of Black people in United States. By letting giving the voiceless a voice Folayan enlightens a new narrative, valuing the community’s point of view and letting them lead the audience through a journey of grief, rage, pride and change. 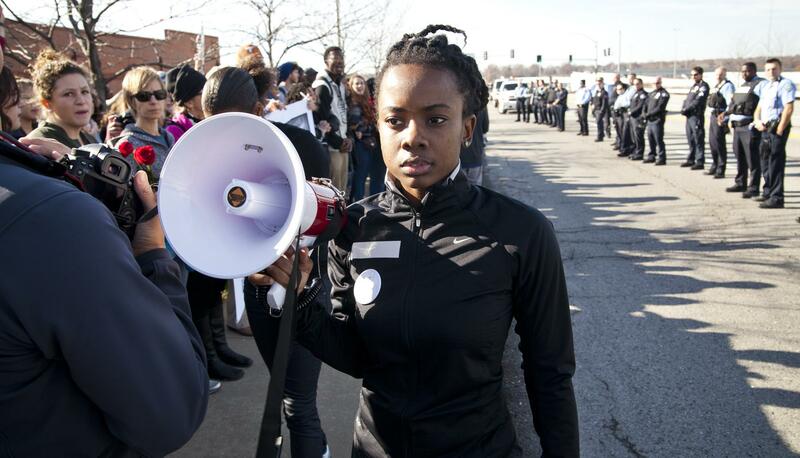 While using original footages, intimate interviews and by mixing scenes from the upbringing and intimate portraits of Ferguson and its people, the director cuts a new perspective into a well-known and exploited event, which its core and necessary meaning was never even considered by mainstream media.